Dr Williams says life is not "to keep or throw away as we choose"
Anglican and Catholic church leaders have spoken out against voluntary euthanasia ahead of a Lords debate. The Archbishop of Canterbury and the head of the Roman Catholic Church in England and Wales both warned life should be protected. Peers will debate the issue of assisted dying in the Lords on Monday. Lord Joffe, who is behind a bill on the subject, said he might amend his proposals so doctors would not directly administer fatal medication. But it would allow doctors to indirectly help people die by prescribing drugs for patients to take themselves - known as physician-assisted suicide. The 73-year-old peer, a cross bencher, said he would introduce his private member's bill - the Assisted Dying for the Terminally Ill Bill - at the end of this month or early November. The bill's wording currently says it would "enable a competent adult who is suffering unbearably as a result of a terminal illness to receive medical assistance to die at his/her own considered and persistent request". The bill was introduced in the House of Lords last year, but ran out of time in the last Parliament. 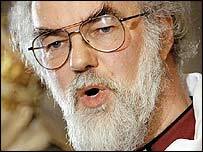 The Archbishop of Canterbury, Dr Rowan Williams, said he remained opposed to voluntary euthanasia despite seeing his mother's "painful months of decline and dementia". Dr Williams wrote in the Mail on Sunday that life was "a gift from God that we cannot treat as a possession of our own to keep or throw away". "I sat by my mother in her last painful months of decline and dementia," he said. "I should be the last person to understate what this feels like, or to deny that in such circumstances you can find yourself wishing desperately for it all to be over." But he added: "But I don't know now how much this had to do with my own distress and feeling of helplessness." 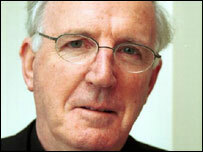 The head of the Roman Catholic Church in England and Wales, Cardinal Cormac Murphy O'Connor, told BBC One's Sunday AM programme he was "totally against" a voluntary euthanasia bill and hoped and believed it would defeated in the Lords. "Not because I have no sympathy," he said. "But I also have sympathy for the law which protects life." He expressed concern that a "right to die can become a duty to die" as people could feel pressure from families caring for them. He also said the growth of hospices had provided new methods of palliative care, adding that the time of dying was a "very important moment" in a person's life. The Bishop of Oxford, Richard Harries, has also spoken out against the bill. In an article in the Observer, he warned it was wrong to elevate choice above all other values. Liberal Democrat science spokesman Evan Harris is among supporters of a change in the law. Dr Harris said he believed the tide of opinion was changing and it was time the government allowed the issue to be debated in the Commons. "The debate now is only about the safeguards," he said. "There is a pent-up demand in Parliament for this issue to be debated." Anglican and Roman Catholic bishops issued a joint statement against the bill in September last year, calling it "deeply misguided".